After almost a year of posting updates to The end of Television Tumblr it’s time to expand the domain and create a more flexible website for things to come. This new WordPress website allows more customization for the posts and updates, and to reach a broader audience. Another issue with Tumblr has been the reliability of the platform which sometimes just couldn’t keep up with its own growth. The homepage now provides an overview of the latest posts and shows featured articles. There’s more information about the perspective and ‘history’ of the blog and has more options for readers to find other articles and connect with The end of Television on Twitter, Google+ and Delicious. The contact page provides an accessible form to get in contact and share insights. For the comments on individual posts the Disqus platform is used and the sharing widget from Sociable provides options to share the message more easily with different networks. 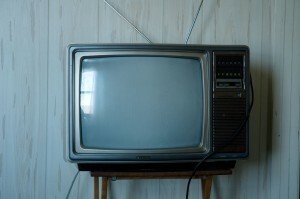 The end of Television provides followers on Twitter and readers on this blog the latest news, updates and perspectives on the changes within the TV, broadcasting and content distribution industry. By focusing on the convergence of the internet and television new innovations are presented based on new applications, technology, business models and viewing behavior. It doesn’t claim the end of television but it argues that the developments indicate The end of Television as we know it. To stay up-to-date with the latest news and updates I suggest you follow the @endoftelevision on Twitter. You can connect with the editor Twitter @geertfaber or drop a line on the contact page. For the latest updates of the blog you can subscribe to the RSS-feed or add The end of Television to your Google+ Circle. For all the links of this blog and the Twitter updates from @endoftelevision check the Delicious account.